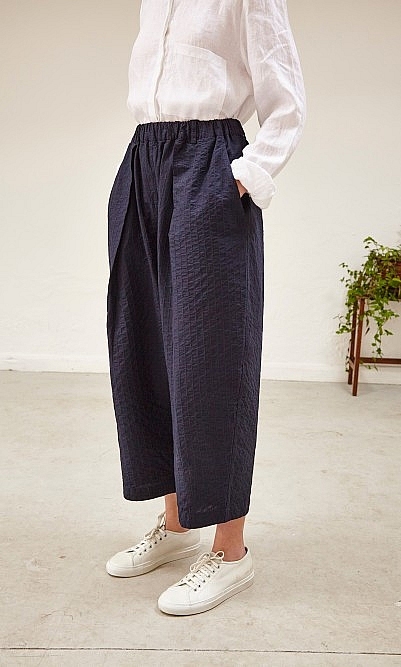 Navy woven-twill trousers with minimal detailing for a sleek shape. 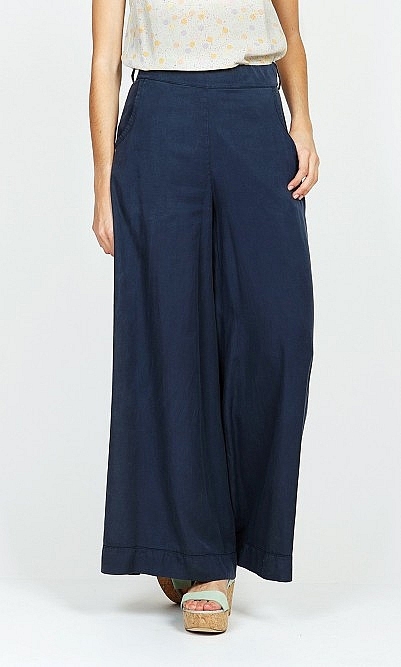 High-waisted fit offset by super-wide full-length trousers. Side pocket. Inside leg L75cm. 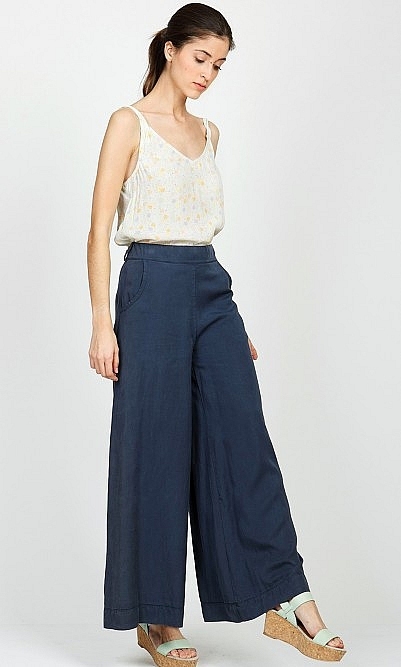 Fabric and care: 100% Woven lyocell, an eco-friendly, natural fabric. Gentle machine wash.